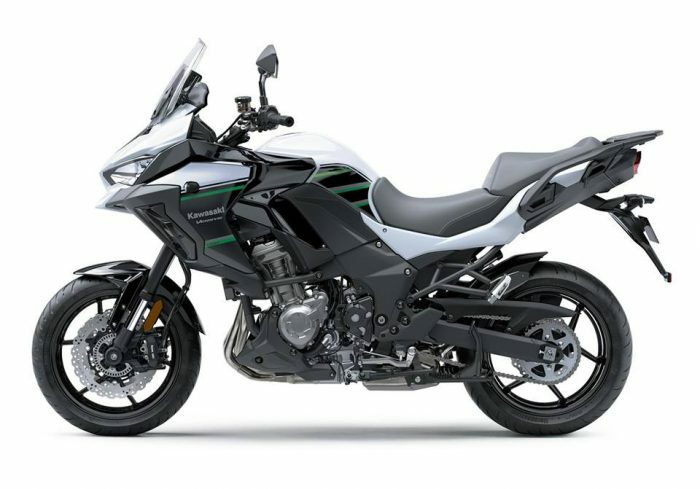 On 16th of November 2018, Kawasaki announced bookings commencement of 2019 Versys 1000 – which they are calling as 2020 Model Year for reasons unknown! They officially said that the Candy Steel Furnace Orange colour (what name 😀 ) is what India will get but shortly after they changed their mind and in its place we are now getting the Pearl Stardust White colour. 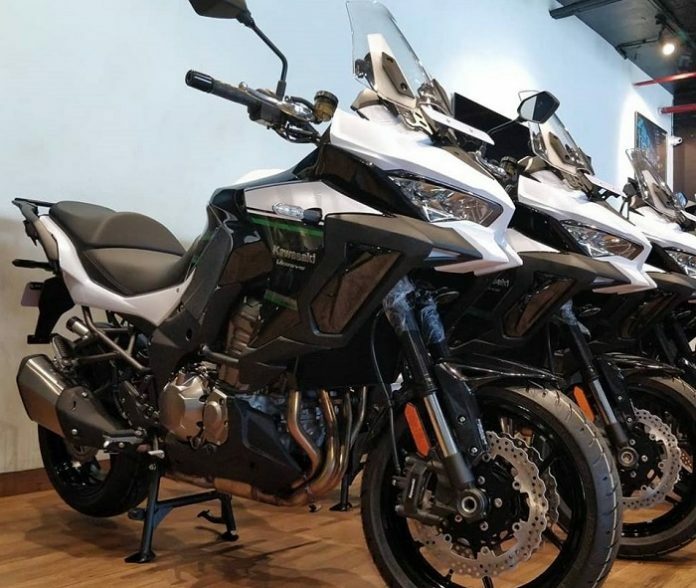 They officially announced its launch in February and the motorcycle has now started reaching dealerships according to some pics shared by Anzen Kawasaki. 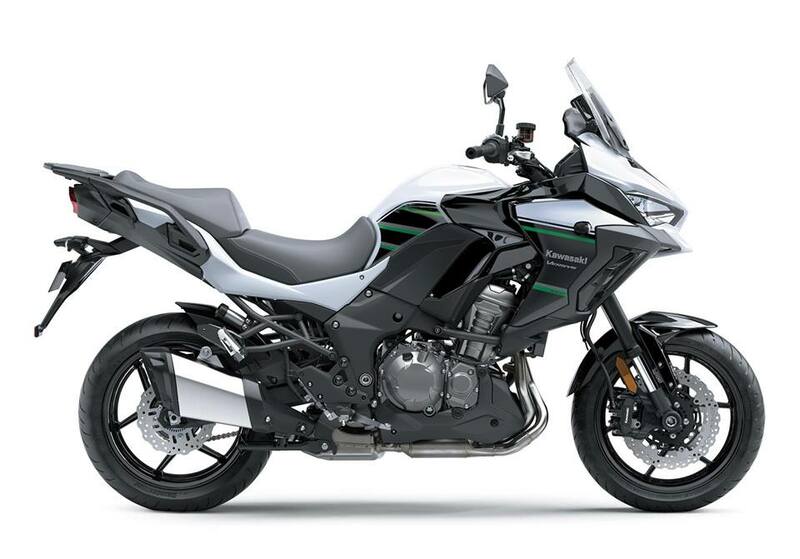 The 2019 Versys 1000 is now locally assembled from CKD kits at Kawasaki’s Pune plant and will come in the standard variant. Versys 1000 is powered by the 4-stroke, in-line four cylinder, DOHC, 16 valve 1043 cc fuel injected engine capable of pumping out 120 PS of peak power at 9000 rpm and 102 Nm of max torque at 7500 rpm; which is coupled with a 6-speed gearbox. It has a ground clearance of 150 mm, fuel capacity of 21 liters, along with a seat height of 840 mm. It weighs 253 kg kerb. In terms of features, it is equipped with supersport-grade, high-precision brake management system – Kawasaki Intelligent anti-lock brake system (KIBS). It will also get new instrumentation – an analogue-style tachometer with full-digital LCD screen. Apart from speed, it displays standard gear position, fuel gauge, odo readings, trip meters, current and average fuel consumption, remaining range, bank angle display, max bank angle, coolant temperature, clock, etc. 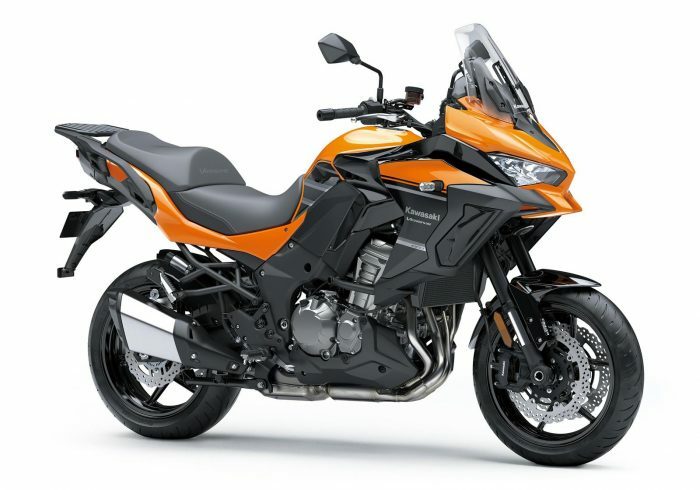 Moreover, Kawasaki Traction Control (KTC) is also a part of the package along with the versatility of the Versys we have known. Initially this Orange colour is what was announced for India. This is a brilliant pricing for the lovely ADV – a motorcycle which is being called as a crossover by the company. Deliveries for the first lot of customers will commence shortly. Bookings are underway at all Kawasaki dealerships across India at an amount of Rs 1.50 Lakhs. Kawasaki also says that the first lot will be produced in limited numbers and bookings will be closed after they reach the target – which means that there may be a price hike in sometime – a policy that they have adopted earlier as well.